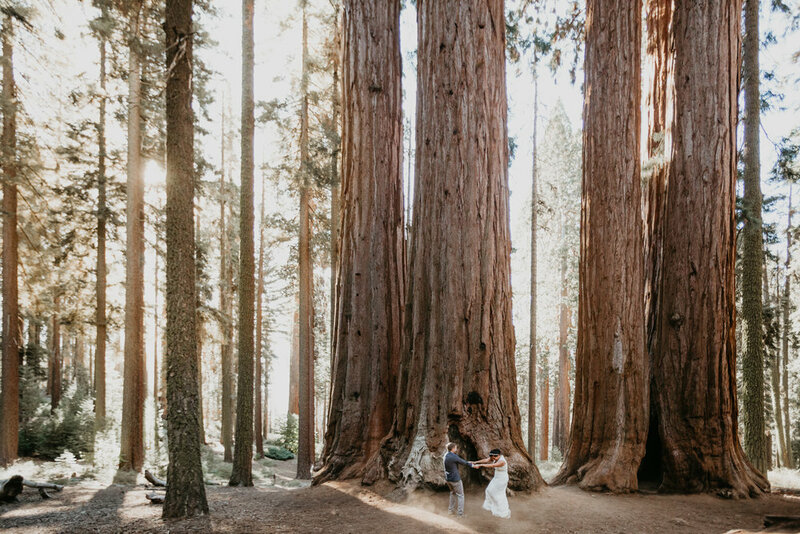 This adventure elopement in this national park was SUCH a blast to be a part of. 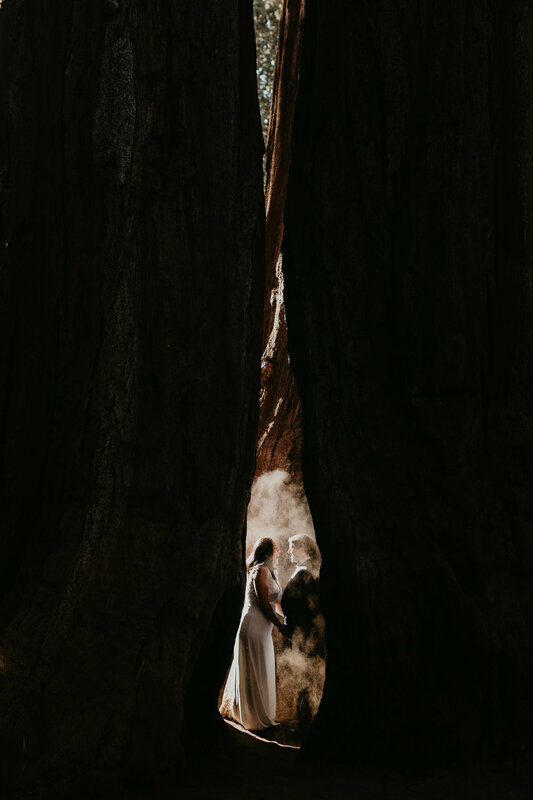 We shot mostly north of Kings Canyon, in Sequoia national park, and Mildred + David hired me just a few weeks before to be the photographer for their elopement. Mildred owns a restaurant with her sibilings, as well as a boutique marshmallow business - super cute + super tasty, she brought me some! David on the other hand is an adventure therapist - HOW FREAKIN COOL. 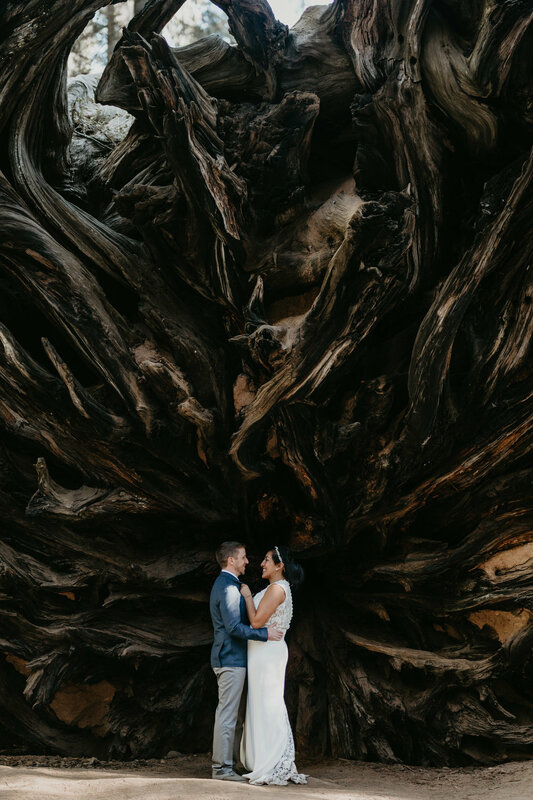 Yeah, these guys were made for an adventure elopement. Mildred and David were the most care free, stressless, happy couple to adventure with - totally. my. people. 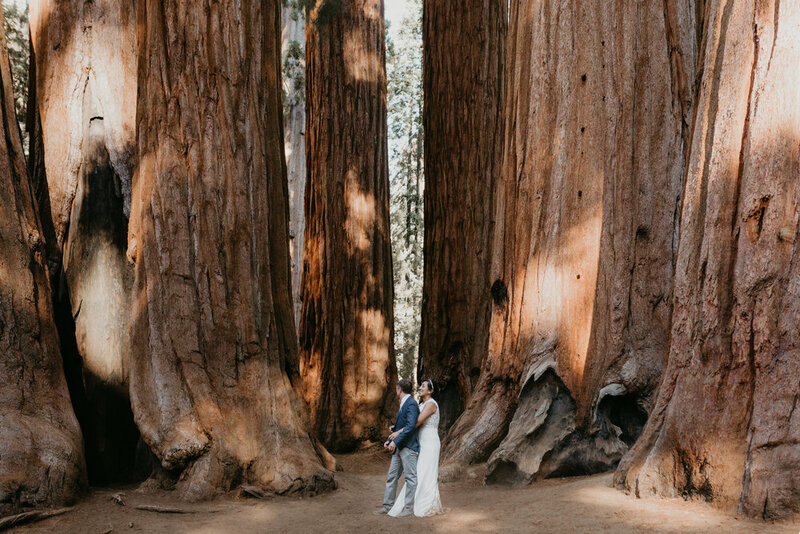 They were on a road trip through California and decided to symbolically elope in Sequoia national park, as they legally got married the year before (and didn’t tell anyone!). 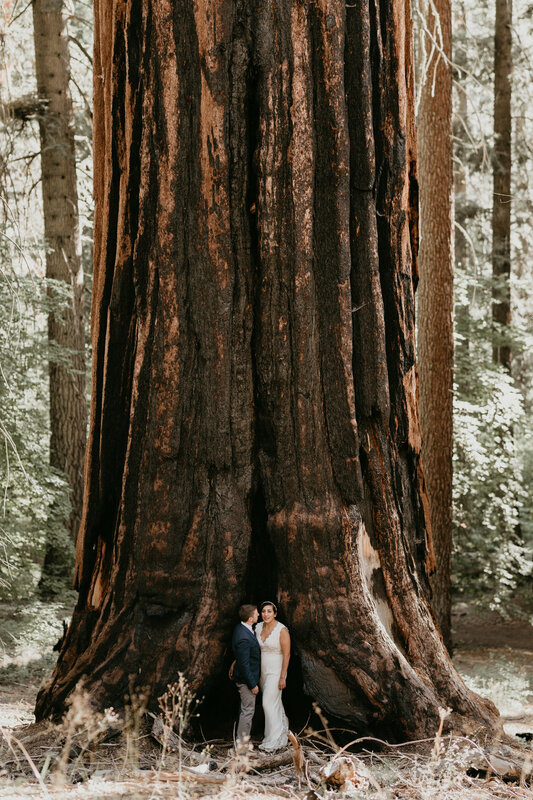 These incredibly old, and massive trees, made the perfect place to commit to a lifetime together. We met just shortly after sunrise for a little hike up to a lookout that made you feel like you were on top of the world. 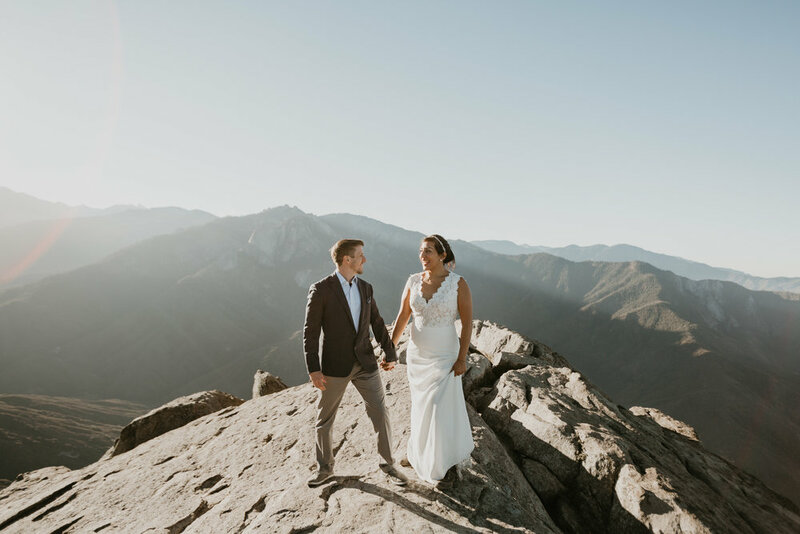 David really wanted to get out to the edge, where Mildred not so much, so I sat back as they practiced faith and trust in their marriage and Mildred faced her fears and stood out there. 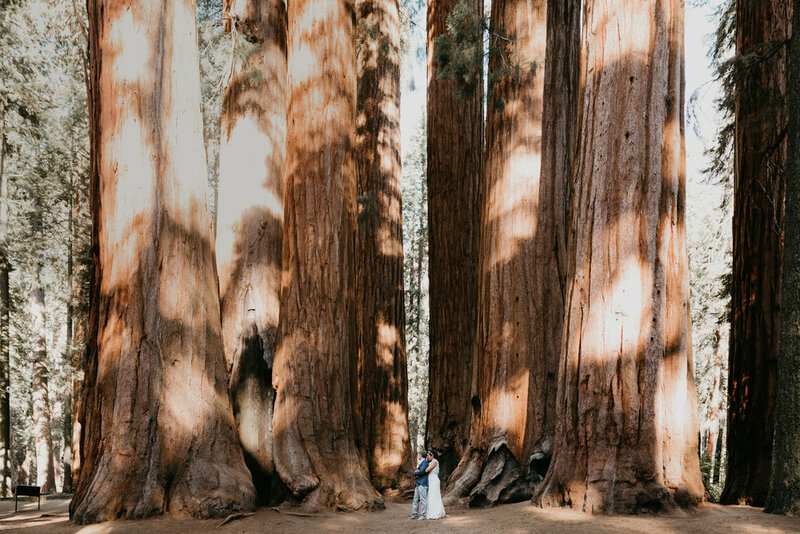 Afterwards, we drove through the park to a few different spots I had scouted out before hand to get some big ol tree’s in their photos. These two had a complete blast with it, just running around, having fun, and being completely present in the moment and what this day, and these photos meant to them. Lastly, we ended up in another little hike out to another look out where we wrapped up. These guys headed on their way to the rest of their road trip, and I headed home!